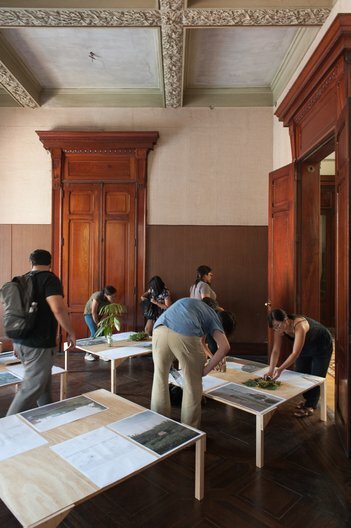 As part of the annual LIMAPOLIS think tank in Peru, the British Council presents Reframing Spaces, a week-long programme with London-based 6a Architects and local architecture practices and students. Since 2011, the Faculty of Architecture and Urbanism at Pontifi­cia Universidad Católica del Perú organises and hosts LIMAPOLIS, a week-long international workshop and urban design think tank focused on key issues that shape life and transform the city of Lima, the capital of Peru, and, in turn, influence positive change in urban planning internationally. LIMAPOLIS's focus on challenging aspects concerning the city development is an attractive setting to over 300 architectural students and 20 professionals from Peru and abroad who take part each year, producing signi­ficant visions, ideas, and proposals that transform the perspective of the city’s urban agenda. In collaboration with ADF, British Council Peru brings, for the first time, UK-based architects to LIMAPOLIS to contribute to the week-long think tank. Designed as an annual programme running alongside LIMAPOLIS and taking place between 5 and 11 March 2017, Reframing Spaces seeks to create dialogues that address identity, urbanism, architecture and design. 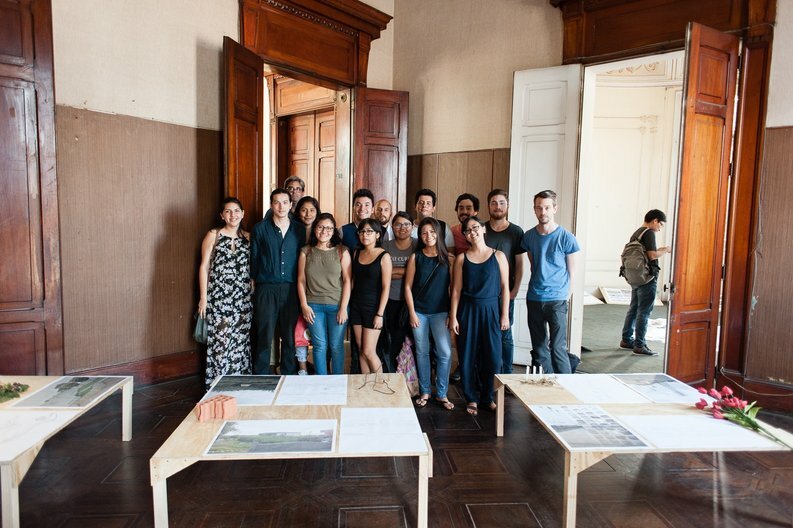 Propelling the use of public space, taking work outside of formal spaces of practice or learning, and creating opportunities for wider audiences to engage with the public realm, and increasing collaboration between UK and Peru’s design and architecture sectors. Lima is a city settled on a desert alluvial fan whicharound 1,800 BC and 500 BC was transformed by artificial irrigation by means of the construction of a series of canals taking water from the Rímac River. This hydraulic infrastructure allowed the sprawl of various pre-Columbian societies which developed the agricultural land, its road system, aside from taking advantage of its abundance. These conditions later on madethe location appealing to become the Spanish capital in South America. its signicance, is largely ignored in the city “planning” of Lima and widely unknown even within the architectural community. The objective of the workshop is to develop strategies that recognize and integrate “rio” Surco Canal into the urban fabric as a whole. This wholeness can be understood in many ways as in a habitat, an ecosystem, an aqueduct, a linear park, a cultural promenade or a community. The Canal is experienced as a 30km urban cross-section of Lima from Ate (300 m) downhill to Villa (0 m). 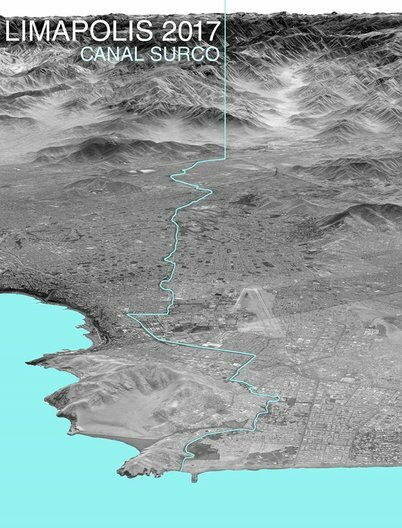 Its water intake from the Rímac River irrigates 70% of Lima’s parks, and ows out to La Chira, the future extension waterfront development (Costa Verde). Along this canal there are housing settlements, planned residential streets, orchard homes. Despite Lima’s urban sprawl and its disregard to it, the canal manages to survive as a vital means of irrigation to all the city's greenery in the parks and public spaces, which otherwise would only be a desert. For further information and a full programme, visit the LIMAPOLIS website.